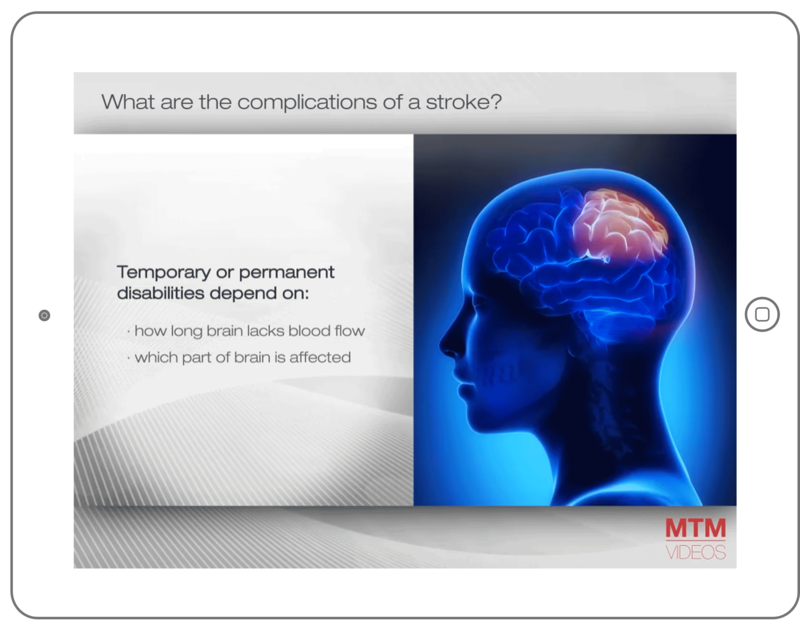 MTM Videos is available on the App Store and allows pharmacists to access all educational health videos on an iPad for patient viewing, the iPad can be securely mounted or used with a hand mount for in store viewing . We suggest that the mount be installed near the work area at the pharmacy counter and not in the waiting area. This will make it easier for you and your staff to show the videos to patients.